The Art Interactions DVD is an interactive gallery giving you access to hundreds of fine art images from Introducing Art, Exploring Art, and Understanding Art. A slideshow function gives you the ability to create and save customized slideshows. Make a Music Video enables students to create a music video using their own artwork and collected music. 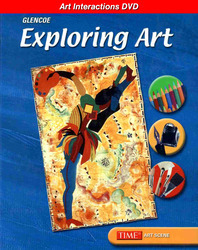 Art Quests encourages students to explore themes or topics in art using the Fine Art Interactive Gallery.